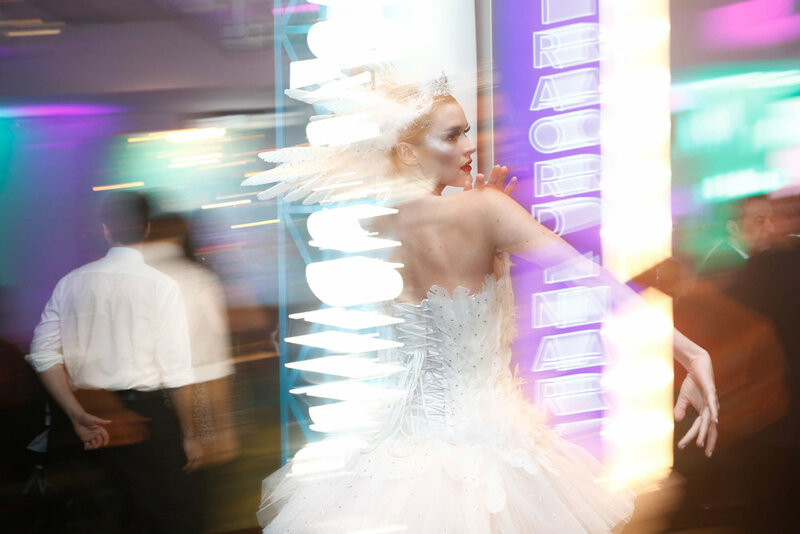 Austrian crystal brand Swarovski celebrated the launch of its new Times Square flagship with a destination-inspired event featuring sparkling set pieces and shimmering performances intent on making their crystals synonymous with the brilliance of the famed Great White Way. A press-focused silver carpet in-store event hosted by spokesperson, Karlie Kloss, kicked-off the festivities with a ribbon cutting ceremony. 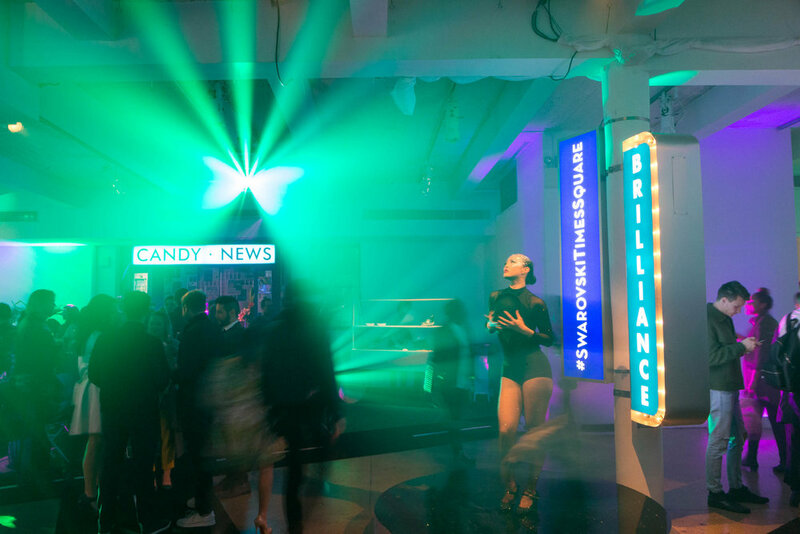 That evening, The Gathery produced and developed a shimmering party at the West Side of Manhattan transforming Hudson Mercantile into a scintillating take on Times Square. 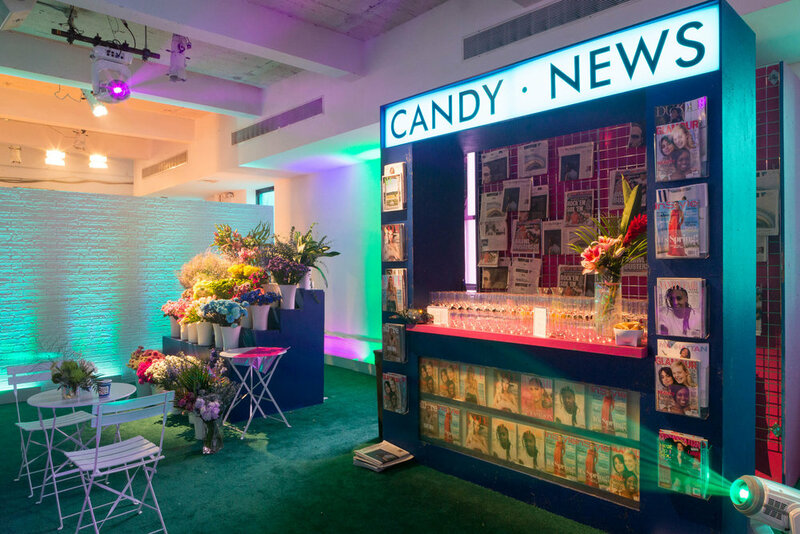 Guests arrived through a stage door and were whisked to the sixth floor via the freight elevator fashioned with iridescent wall treatments and neon lights. 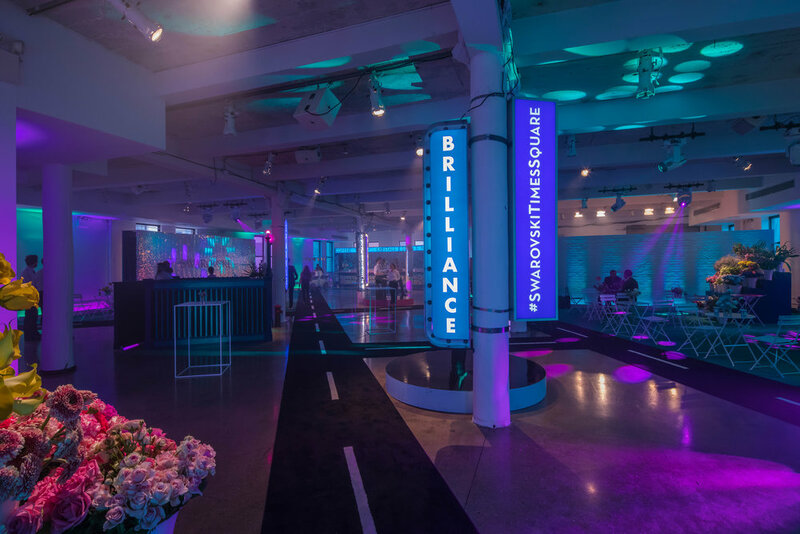 Upon arrival, attendees encountered a labyrinth of illuminated signs, billboards and newsstands interpreted in the brand’s signature sparkle. 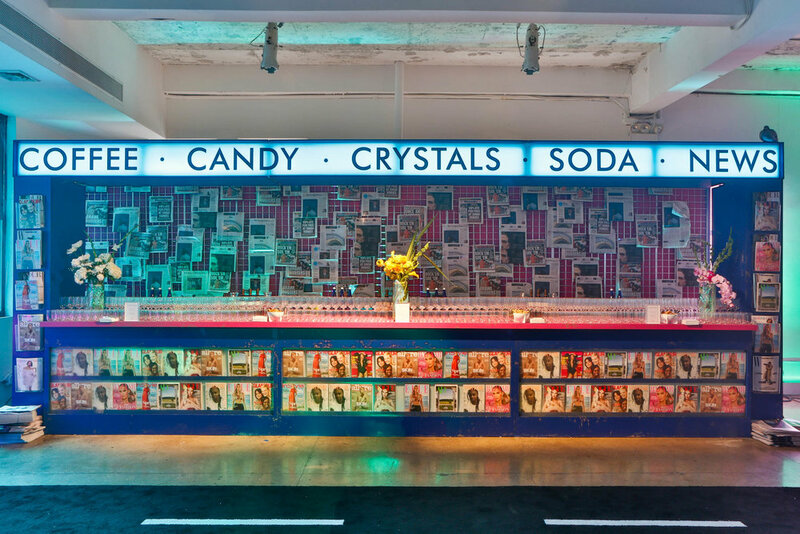 Food carts, offering elevated interpretations of street food, provided guests with delectable bites while a roving cast of dancers, circus acts and tunes spun by Harley Viera-Newton kept influencers captivated throughout the night.